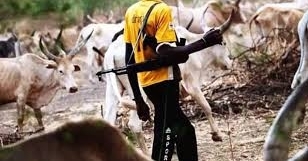 Wife of the Benue State Governor, Mrs Eunice Ortom, on Thursday said 19 out of the 23 local government areas of the state had been attacked by Fulani herdsmen. The attacks, she noted, had increased the number of orphans and out-of-school girls in the state. The governor’s wife stated this during the celebration of the International Day of the Girl Child organised by the Eunice Spring of Life Foundation with the theme “Empower Girls Before, During and After Conflict” held at the J.S. Tarka Complex. She said gender-based violence could cause an increase in sexual and physical violence, child marriage, exploitation and adolescent girls’ trafficking. The governor’s wife added that 90 per cent of adolescent girls who live in crisis-prone areas in Benue State were more likely to be out-of-school than girls who live in conflict-free areas. “This is a clear danger signal for now and the future because the Benue woman advancement agenda we have been promoting and celebrating is likely to have a short lifespan if changes are not made. “The danger clearly lies in falling education and training of Benue children to take up the challenges of being creative in solving emerging issues, problems and contributing to the social, political and economic growth of the state.